Hog’s for the Cause is basically one giant, community barbecue benefiting the families of children battling pediatric brain cancer. 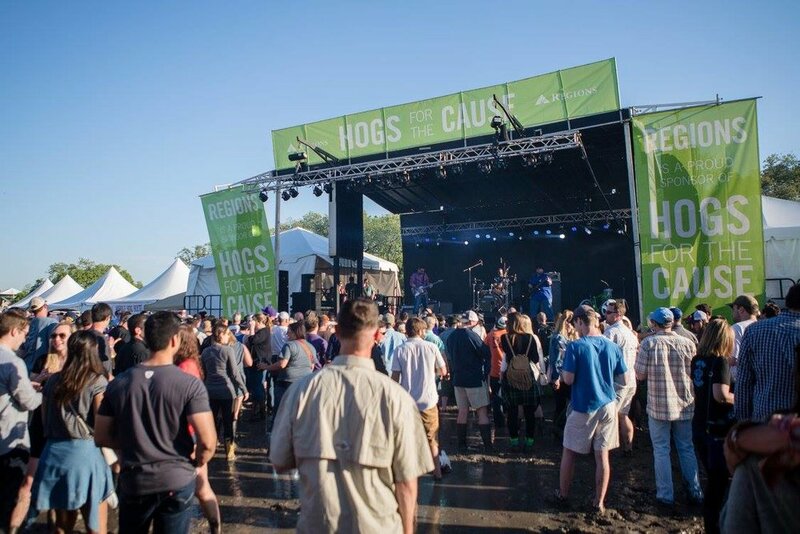 Hogs for the Cause was founded in 2008 by New Orleanians Rene Louapre and Becker Hall, with the original intent of reviving an old Southern tradition of open-flame pig roasts. However, that same year they met then-four-year-old Ben Sarrat Jr. (after whom the “High on the Hog” Cook-Off is named) and, on seeing his plight, they decided to make the event a fundraiser for children with pediatric brain cancer. Since its founding, Hogs for the Cause has helped over 100 families with expenses related to their children’s brain cancer ailments. It has also established the Hogs for the Cause Fund at Children’s Hospital in New Orleans. 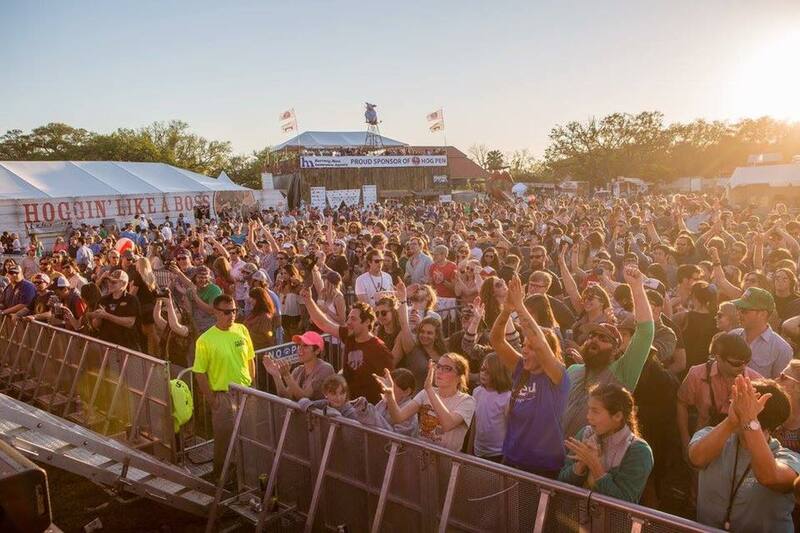 For two consecutive years, Hogs for the Cause was named one of the Ten Best BBQ Festivals in the U.S. by Delish.com. As a 501 (c) (3) nonprofit organization, all donations to Hogs for the Cause are tax deductible. Get there early and come hungry! Some of the most coveted food items sell out early, and Hogs encourages people to take a “get there early, eat everything” plan of attack. There will be plenty of unique and delicious barbecue dishes from 90 competing teams. Every team prices their own samples, and most teams charge $2 to $6 for dishes. 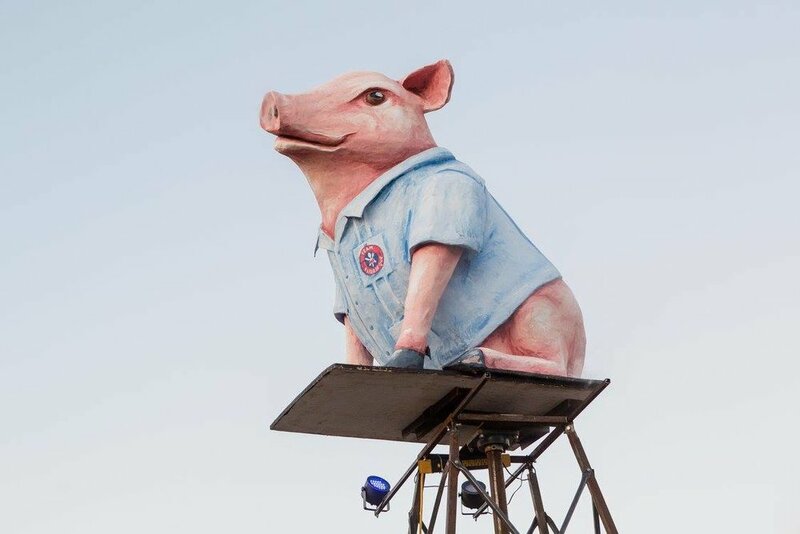 To pay for the food, you can drop Hoggy Dollars (tickets sold at Hoggy Dollar Booths on the festival grounds) into the competitor’s piggy bank. Also be on the look out for tons of new drink options this year. If you want to ensure you get a taste of those coveted pork dishes, we recommend purchasing a Hoggy Hour tickets. For $50, guests get a general admission ticket with early admission (2:30 pm on Friday; 10:30 am on Saturday) and free NOLA beer for that early admission hour. Get ready for an incredible line up of music, cold drinks, and delicious barbecue, all for a great cause! The band lineup always includes an incredible array of performers and bands. See the full lineup here. For More NOLA Festivals and Events, Click Here!